Developing health information system would require incurring several cost and planning for these costs should be done before hand so that proper implementation can take place. Some of the key cost centre for the development of health information system would include software, hardware, network, telecommunication, privacy, licensing, compatibility and integration. All these costs needs to be considered properly so that cost planning takes places and no quality compromise to be done at the final stage of information system development. Developing health information system is quiet expensive and includes several costs such as the software, hardware, HR infrastructure, telecommunication, network, data security, privacy and licensing etc. Further cost identification activity for the health information system includes integration of the HIS with the other existing or proposed information system implemented in the organization such as the finance, access management, payroll management and HR management system (Wiesenthal et al, 2004). Hence in order to manage a health information system proper cost planning needs to be done considering various cost structure included in the health information system development. Marketing Planning for the costing of HIS is important as management would be concerned about costing of the system and in case costing is very low there can be quality compromise with the information system. So a balance needs to be struck between two positions so that an efficient health information system can be implemented in the organization. Hardware: Hardware required for development of health information system would include onetime cost for the organization and hardware cost would include approximately 30% of the entire information system costing. Some of the key components for hardware required in order to develop health information system would be systems, server, data storage device, connecting network and data transfer arrangement etc (Mitri & Cole, 2007). Though organization should make 20% provision for the change in hardware cost with the advent of new hardware in the information system domain. Software: Software would be the most important part of the health information system and should contain all necessary interfaces and applications required in order to manage relevant activities. Software would be the major cost for setting up entire health information system and would attract 30 to 40% of the entire costing of the system. Software should be such that it capture data at user end and able to prepare proper reports used for decision making purpose with integration from other information system. Network & Telecommunication: Network and telecommunication devices would be required in order to make connection for the information system throughout the organization and enable smooth data transfer for any user request. Telecommunication should be fast enough to make real time information update in the system and does not allow any kind of information loss or outside attack on the information system of the organization (Ohinmaa & Hailey, 2002). Network and telecommunication system for the health information system would attract 10-15% of the total cost for information system. Further network and telecommunication system would be continuous cost as several components would be updated every time so as to safeguard information and to maintain smooth information flow in the organization. Privacy: Privacy of the information would be the key concern for the information system and secured network needs to be developed in order to ensure data privacy over the transmission network. Privacy for the information system would be ensured through 5-10% of the entire cost for the information system (Karikari & Stillwell, 2005). Licensing: License for the software used in the organization would attract additional cost as the license would be given as per the usage of the license in the organization. For a large organization per usage cost for the license would be minimal and overall license cost would be around 5% of the entire information system developed. Integration: Integrating health information system with the other information systems present in the organization such as finance, access, payroll and HR would be of key importance for the organization as information system working in synchronization with each other can make better decision making for the management in organization. Compatibility: Information system developed in the organization should have proper compatibility with the handheld mobile devices such as the ipad and other business used systems. Compatibility of the system should be taken prior to design state otherwise there can be huge cost for the compatibility among the various systems. Compatibility would require 2-5% of the total cost for information system (Murphy & Simon, 2002). 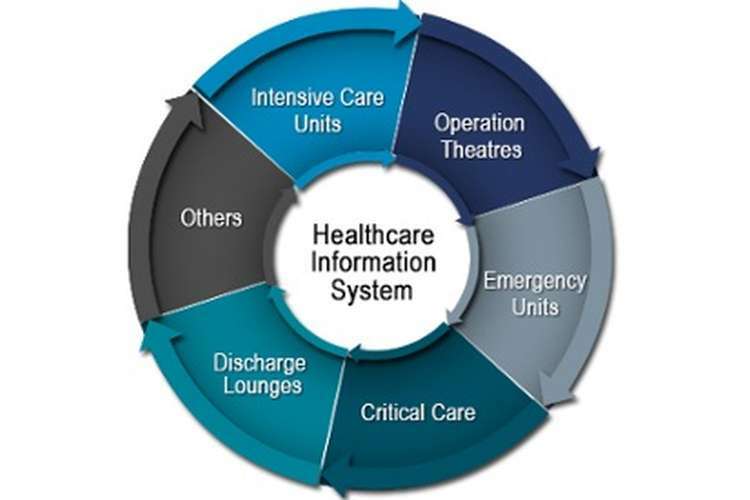 Hence overall information system would include several cost centres for which proper cost planning needs to be done so as to avoid over costing at the later stage of the health information system planning and compromise in the quality of information system. Garrido, T, Raymond, B, Jamieson, L, Liang, L & Wiesenthal, A 2004, Making the business case for hospital information systems – a Kaiser permanente investment decision, Journal of Health Care Finance, vol. 31, no. 2, pp. 16–23. Information Systems, vol. 12, pp. 301–20. Management Health Outcomes, vol. 10, no. 5, pp. 269–76. Karikari, I & Stillwell J 2005, ‘Applying cost/benefit analysis to evaluate investment in GIS: the case of Ghana’s Lands Commission Secretariat, Accra’, Transactions in GIS, vol. 9, no. 4, pp. 489–505.